Are you or do you have a child who you would like to learn play volleyball then this is the Beach Volleyball Camp for you! 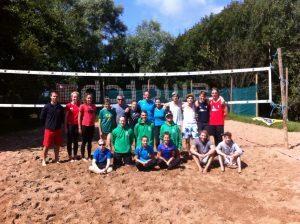 It will bring young people from all over the world together who already have a love of beach volleyball. 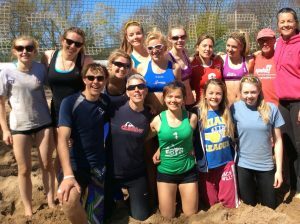 Training under great beach volleyball coaches many who work with Volleyball England National Team Program. 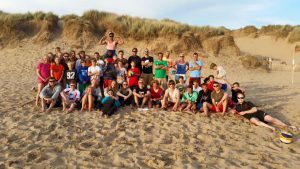 Each day the shuttle will return the students to their host families with evening activities with the language school in Ilfracombe on three evenings. British Residents should be collected or return to their own accommodation. The International Students will be traveling to Sandbanks the UKBT Junior Championships and you are welcome to come with us. 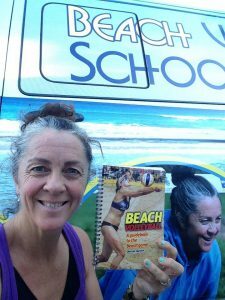 if you pay by PayPal to denise@beachvolleyballinc.com there will be a 4% surcharge added automatically if you pay immediately. Please complete the enrolment form and send it with payment of £160. Should be arranged by parents who are staying in the area. The course fees must be paid in full. Students will not be permitted to start the course unless full payment has been received 28 days prior to start date. More than 28 days before the course begins All fees refunded. There will be no refund of fees to students whose courses are terminated in this way. 1. 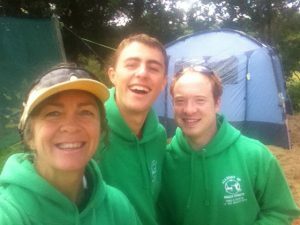 Grants the student permission to participate in the full programme of leisure activities. 2. Authorizes Beach Volleyball Inc to take appropriate action in the case of any medical or another emergency, and accepts responsibility for any resultant cost. Students to arrive into Croyde by 09:30 Monday morning.